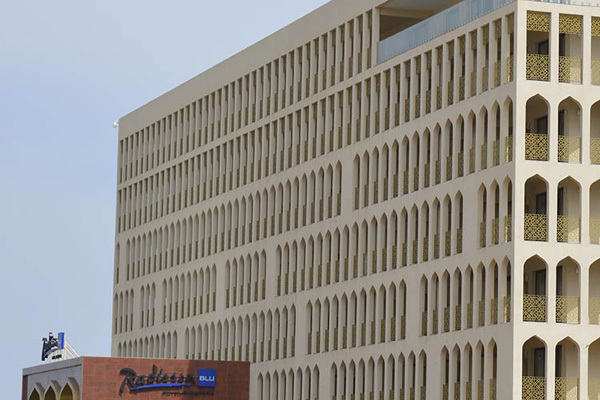 Hospitality group Radisson Blu has announced the opening of its first hotel in N'Djamena, Chad. This latest addition brings Carlson Rezidor Hotel Group's African presence to 42 hotels with more than 16,200 rooms in operation and under development. Located on the shore of the Chari River, the Radisson Blu Hotel, N'Djamena is situated in the southern part of the capital, just 10 minutes from the city center and 15 minutes from Hassan Djamous International Airport. "We are delighted to expand our upper-upscale presence in Africa with the opening of a new Radisson Blu in a new country, Chad, Africa's fifth largest," said Mark Willis, senior area vice president, Middle East, Turkey and Africa, The Rezidor Hotel Group. "Since 2010, the country has signaled significant growth and development ambition, and we are delighted to be part of Chad's continued progress, especially in travel and tourism." All 175 guest rooms of the Radisson Blu Hotel, N'Djamena offer a warm ambiance, contemporary design and free, high-speed wi-fi. There's a selection of rooms styles to suit every traveler, from Standard, Superior and Business Rooms. More spacious accommodation offer includes a range of Junior and Executive Suites with separate living and dining areas with picturesque views of the courtyard and mesmerizing Chari River. La Promenade restaurant delivers a delicious menu all day with a variety of hearty buffets and an à la carte choices. A great choice of cocktails and fresh drinks, plus snacks and sweet delights can always be ordered at Le Chari Lounge Lobby Bar. Guests can bask in the infinite views from the sixth floor at Le Panorama Restaurant & Bar, which offers an array of dishes and signature tapas. The hotel's meetings and events space includes more than 12,000-sq-m – the largest in Chad. The conference center offers 15 meeting rooms for 10 to 90 people, 2 amphitheaters with 120 seats and an auditorium with 800 seats. Each of the meeting rooms is fully air-conditioned and equipped with the latest audio-visual technologies, including simultaneous translation services.